Solifuges are known as wind scorpions in Africa due to ability to run at high speeds and as Sun-spiders elsewhere due to their imagined diurnal habits. 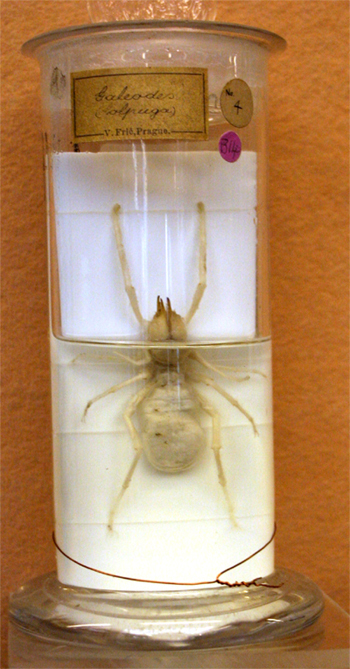 They possess large chelicerae each composed of articulating jaws; the pedipalps are leg-like and end in adhesive organs. The prosoma is covered by anterior and posterior plates. Wind scorpions have a reputation for ferocity and may take mice and small birds but their usual prey is invertebrates like locusts.